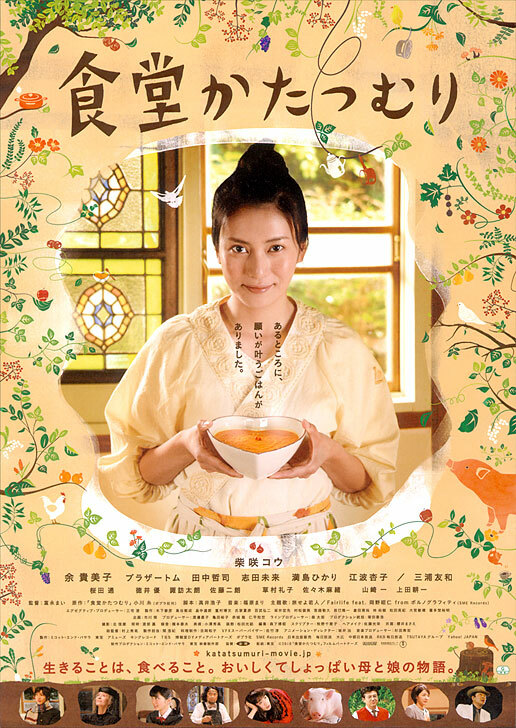 A young woman (Kou Shibasaki) in her mid 20's becomes so heart broken she loses her voice. To recover, the woman decides to go back to her hometown and stay with her free-spirited mother whom she has not been very close to in the past. The young woman then decides to open a restaurant which accepts only one customer a day, allowing for thoughtful preparation for that customer. Nori Jul 27 2010 6:04 am The book is written by Ito Ogawa and the DVD release is scheduled for Sept 1 but I'm not sure how you can get it outside of Japan. Amazon Japan sells it but I think you need a delivery address in Japan? Or you can ask your local import shop to see if they can help you out. MondeFlottant Jul 24 2010 3:05 am The DVD will be released the 1th sept 2010. Does anyone know who writed the book ? Richard Jul 15 2010 10:50 am Love the film, where can i buy it? ?